Caliata is currently based in Kuala Lumpur, and is an online store. Their focus is on carrying brands and products that may be termed “cult” or even “niche”. The owner and founder of the brand, Marina is a huge skincare buff herself, and a consumer of such cult brands and products. We spent a happy few hours talking about all the different brands we’d tried, the arduous wait for them to arrive in the post, and the niggling fear that your package may be detained by local customs and imposed with taxes. 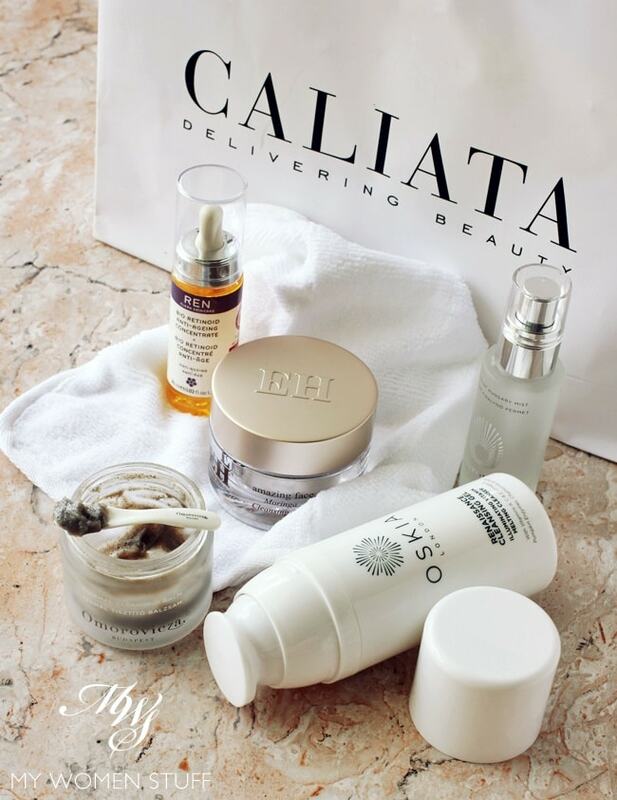 To get around this and to make these cult brands accessible to Malaysians, Marina established Caliata, so Malaysians now have easier access to these cult beauty buys without having to go through the hassle of buying online from overseas. The upside also, is that shipping within Malaysia is fairly quick (Caliata offers free shipping above a certain amount purchased, express next day shipping for a fee, and even same day delivery within the Klang Valley!) Caliata is an authorized stockist of the brands they carry, so authenticity is assured – something I value highly in an online store. I will have to point out however, that most of these cult brands do originally come with a hefty price tag to start with, so prices are on the luxury side. Depending on the brand, some are priced quite closely to the prices I buy at from overseas websites (factoring in the exchange rate) while some are more expensive. You will still have to do a little research. I am personally familiar with Emma Hardie, having used some of their products before this in particular the cleansing balm and face oil. 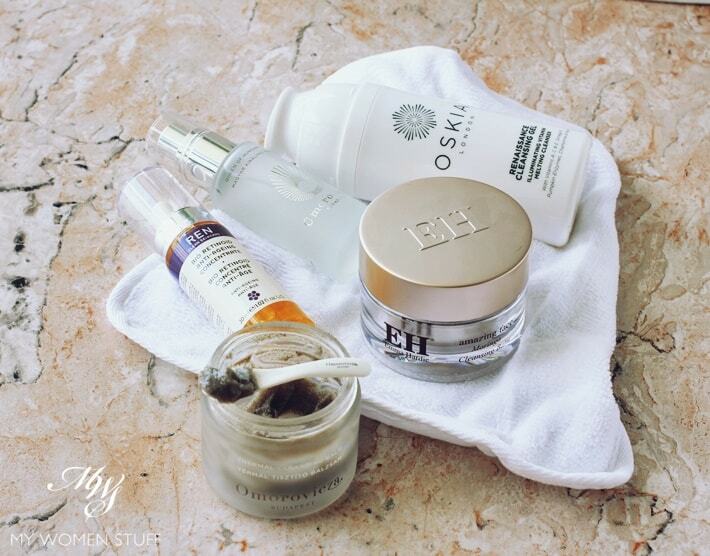 I have also tried the popular Omorovicza Thermal Cleansing Balm, and was introduced to the famed Oskia Renaissance Cleansing Gel by Caliata, and most of you will know that I’ve been a long time fan of the REN Skincare brand. The other brands are as new to me as they may be to most of you, and I’m informed that there will be more new cult brands joining in time to come. If you’re wondering where to start, from brands I’ve tried over time, I’d suggest the Emma Hardie Cleansing Balm and the Oskia Renaissance Cleansing Gel, and if your pockets are deep, the Darphin 8 Flower Nectar oil. I bought and tried the Emma Hardie and Darphin oil some time back, and I find that the prices for these, based on my comparison with the online stores I usually shop at, are close, after taking into account the exchange rate. The price for REN products is the same as what you’d get at other local distributors. To welcome you to Caliata, they have kindly offered MWS readers a flat 15% discount off any purchase from the website. Is there a cult brand or product carried by Caliata that you’ve been interested to try? Oh, such a nice surprise….love the discount code. Aside from REN, Beauty Blender, Darphin, Payot and Decleor, I hardly know the other brands mentioned. But their selection is very limited, I couldn’t find REN’s Neroli bodywash. Hello Margaret! It’s a pleasure to see interest in niche brands in the beauty community. Regarding your comment on the brands we stock – fully understand that many may not yet be known well locally, however it is our mission to only bring the best cult favorites from the USA and UK, that have won multiple awards and gained recognition by the likes of Harper’s Bazaar, Cosmopolitan, Tatler and many more. Most have celebrity following, like Karlie Kloss, Juliette Binoche, Frieda Pinto, Olga Kurylenko, Sienna Miller. About the range we stock – we tend to be very selective about products we stock from each brand, ensuring that the ingredients are suitable for use in our hot & humid climate. However we are absolutely happy to receive any feedback and continue to expand our body range. Your friendly team at Caliata ? Bookmarking this site for further exploration! I usually resort to third party shopping by proxy for hard-to-get brands but am very excited that there is now another option delivering to Malaysia! We are so excited to hear that, SG ! We don’t just deliver to Malaysia, we are based in Malaysia 🙂 which means you can get same-day delivery in Klang Valley for orders above certain value. We look forward to serving you! The customs clearance can get expensive if you go through the third parties. I’ve had it happen to me 3 times so far and goodness. The cost of processing can be more than the damn tax! Hi, Caliata.. i just went to your website and I am looking for “Sunday Riley ceramic slip clay cleanser”. Hoping you will bring this brand in sooner.